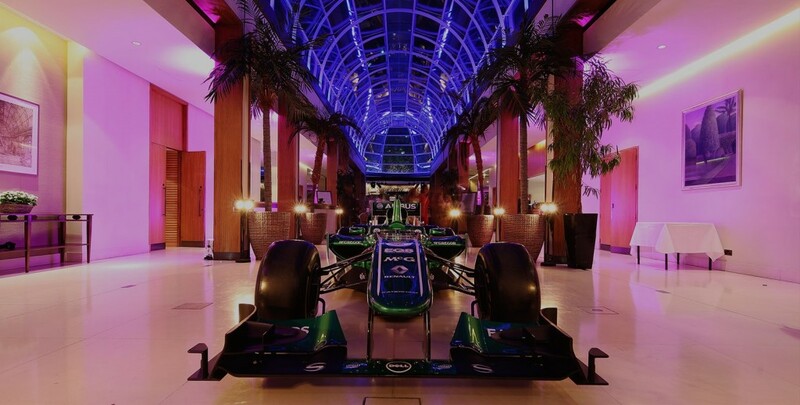 This year the Grand Prix Ball is back, Wednesday 10th July 2019 is the date when the Hurlingham Club will become the home of Formula 1 ahead of the infamous British Grand Prix. Expect the glamorous black tie affair to kick off with a bang! From your first step onto the red carpet alongside the stars of Formula 1, hear the echoes of their engines as our signature F1 demonstration lights up the tarmac to kick off the evening’s proceedings. You will then be wined, dined and entertained in stunning surroundings right on the banks of the River Thames. Mixed with our star-studded celebrity guest list during the champagne reception and three-course dinner, then mingle amongst the stunning display of iconic Formula 1 cars whilst being entertained with live performances by award-winning UK artists and DJs as we prepare for the British Grand Prix at Silverstone.